The Ulster A team, sponsored by CD Group, has been named for the Province’s Cara Cup game against New England Free Jacks on Sunday (Union Point Sports Complex, Weymouth, USA, 6.30pm local time / 10.30pm UK time). There are five personnel changes to the starting XV that lost Wednesday’s opening game to Connacht Eagles. 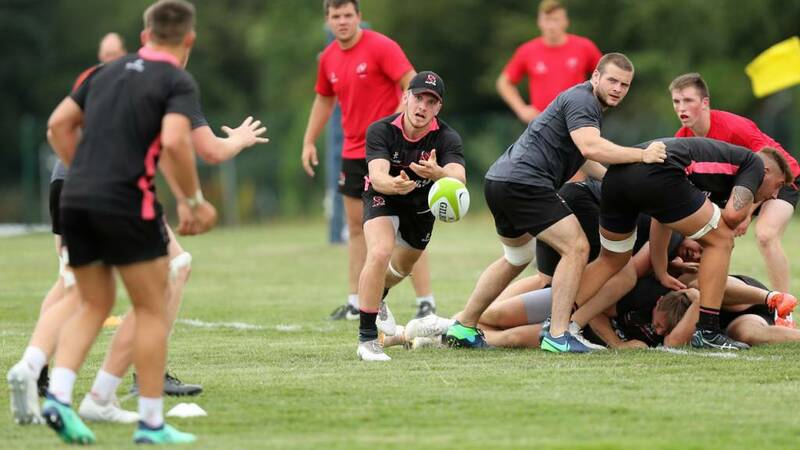 Ireland U20 Grand Slam stars Callum Reid and David McCann, Corrie Barrett, Bruce Houston and Ben McCaughey have been promoted from the replacements bench by coaches Kieran Campbell and Willie Anderson. Props Reid and Barrett are introduced to the front row alongside Zack McCall, while JJ McKee and Jack Regan began are retained in the second row. Captain Marcus Rea and number 8 Joe Dunleavy will form the loose forward combination with McCann. Graham Curtis, who scored two tries in the match against Connacht, is given an opportunity at scrumhalf and he will be joined at half back by fellow Abbey Insurance Academy player Bruce Houston. Ben Power and Stewart Moore will continue their centre partnership, with Jack Owens, Iwan Hughes and McCaughey completing the backline. The replacement bench consists of Claytan Milligan, Caleb Montgomery, Bradley Luney, Lewis Finlay, Charlie Clarke and Michael Stronge. Ross Kane, Peter Cooper and Johnny McPhillips are unavailable for selection after picking up injuries. Replacements: Claytan Milligan, Caleb Montgomery, Bradley Luney, Lewis Finlay, Charlie Clarke, Michael Stronge.